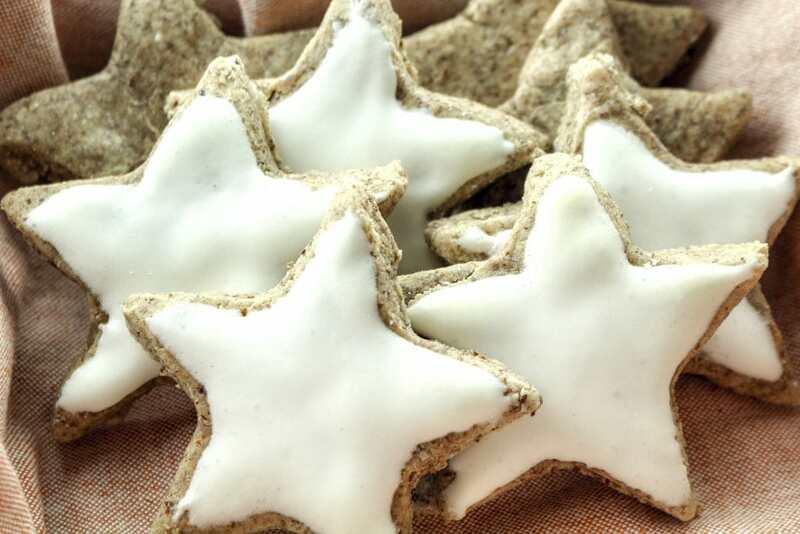 Cinnamon Stars (Zimtsterne) are classic German Christmas cookies. This is a simple and easy recipe that is naturally gluten free, dairy free and DELICIOUS! Last month I took a trip to beautiful Denver Colorado to attend the Food Allergy Blogger’s Conference. Denver is one of the most gluten free-friendly spots the country has to offer, there are so many dining options there! 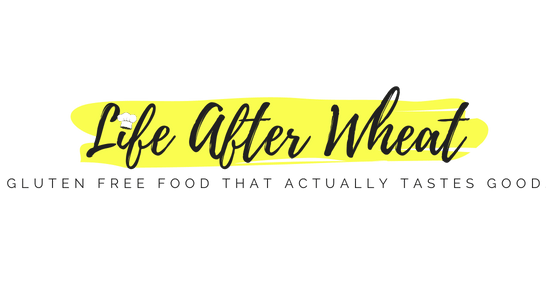 The morning before the conference began, I went on a gluten free tour of the surrounding areas with a group of gluten free bloggers, hosted and planned by Michelle at My Gluten-Free Kitchen. Our first stop was a cute little German shop called Rheinlander Bakery. They had just celebrated their 50th year being in business, and it was easy to see why they have been in business that long. 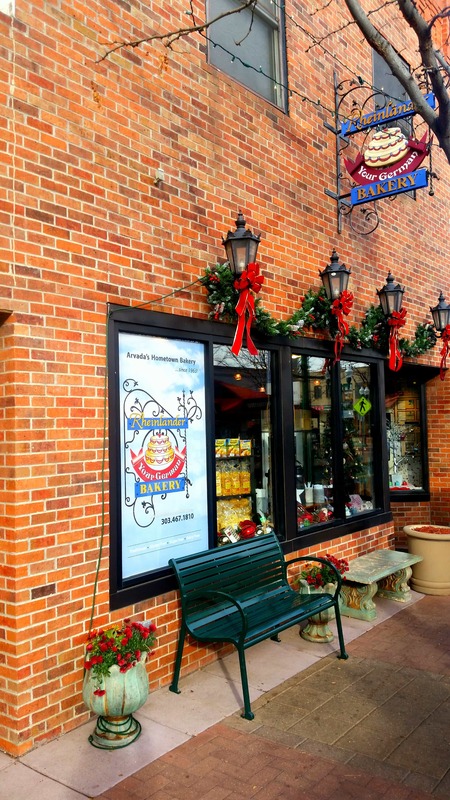 Once you step inside, you feel like you’ve been transported to Germany. There are hundreds of delightful pastries, cookies, and treats of all kinds. Two entire display cases are dedicated to gluten free and dairy free goodies, and we felt very confident in their processes for avoiding cross contamination. It was so hard to pick just a few things to try! The display cases were loaded with eclairs, chocolate dipped “Oreos”, different flavors of tortes, biscotti, and more. At the last minute, I decided to add a cookie that caught my attention. The cookies were labelled “Cinnamon Stars” or zimtsterne in German. We went outside to taste the goodies and just as expected everything was wonderful. But the Cinnamon Stars stole the show for me. 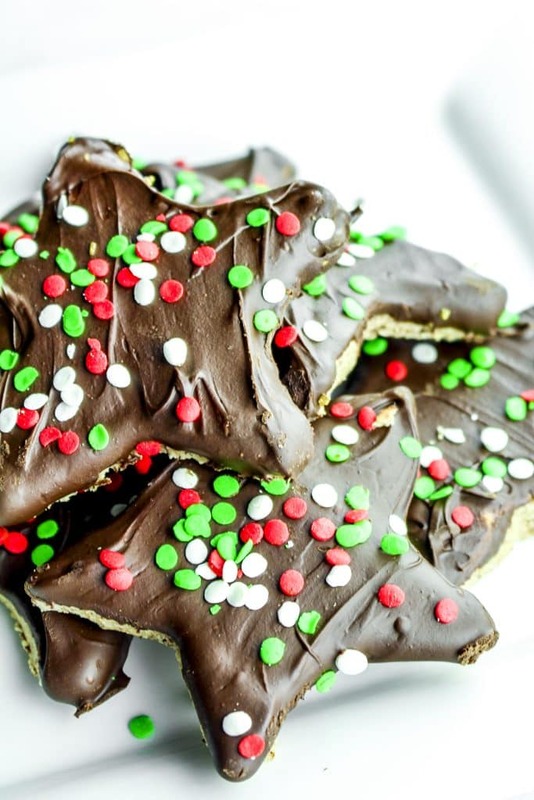 Zimtsterne, or Cinnamon Stars is a traditional German Christmas cookie. It is made with almond flour (the whole ground flour works best), egg whites, powdered sugar, and a few other simple ingredients. The cookies are chewy and have a warm cinnamon flavor – but not too much. 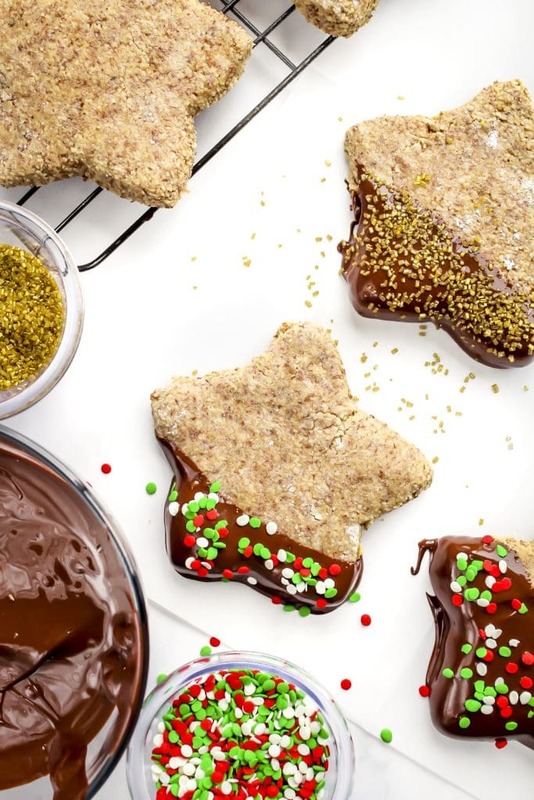 As a finishing touch, these cookies are traditionally frosted with meringue, but the Cinnamon Stars in Rheinlander Bakery were topped with a layer of decadent chocolate and that is my favorite way to enjoy them 🙂 These Zimtsterne cookies stay good for 1-2 weeks making them the perfect make-ahead Christmas treat! I saved half of the zimtsterne to share with my family, and because these cookies stay fresh up to 2 weeks, it was just as good when I got home. Now that’s a Christmas cookie you need in your repertoire! The entire family loved it, picky kids and all, so I knew that I needed to recreate it. 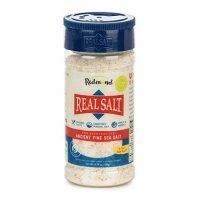 I scanned the internet and read through half a dozen recipes (this is a good place to start) before creating my own version. It took a few trials to get the texture and flavor as I had remembered it from Rheinlander Bakery. If you don’t love chocolate or want to try something new, feel free to top your gluten free Cinnamon Stars with meringue. Just follow the modifications on step 5 of the recipe notes below. Whether you’re topping these Cinnamon Stars with meringue or chocolate, you’re sure to enjoy them! They’re a fun twist on traditional American Christmas cookies, and if you’re making them with kids be sure to grab some fun gluten free sprinkles for decorating. 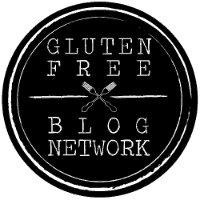 I partnered up with some great gluten free bloggers to bring you more gluten free cookie goodness! find the recipes below! 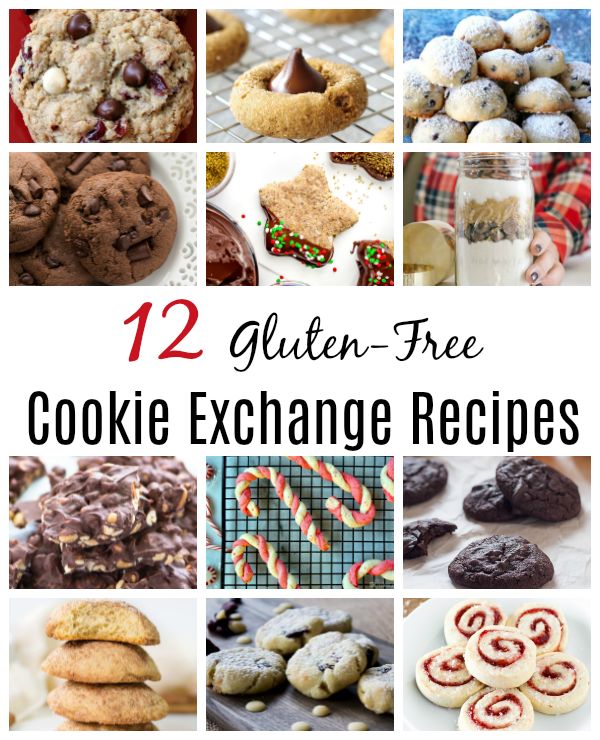 Check out all 12 recipes in our virtual gluten-free cookie exchange, listed in the order they appear in the photo, left to right, row by row. Cinnamon Stars (Zimtsterne) are classic German Christmas cookies. 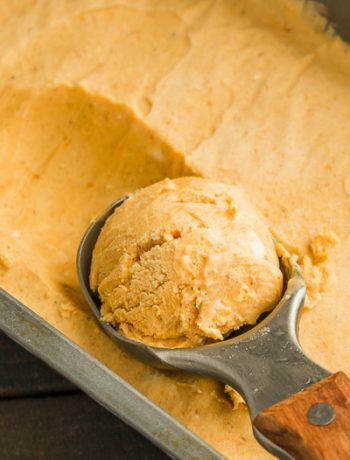 It's a simple and easy recipe that is naturally gluten free, dairy free and DELICIOUS! Line 2 large baking sheets with parchment or Silpat baking liners. In a large bowl, whip egg whites with a whisk attachment until stiff. If you're topping the cookies with meringue, please see recipe notes for modifications. Add powdered sugar, 3 1/2 cups almond flour, cinnamon, vanilla, and sea salt. Mix on low just until combined or stir gently by hand. Don't overmix. The dough will be only slightly sticky, but definitely workable. Note that humidity can affect how much flour you'll need so if it's too wet to be workable, add more almond flour a tablespoon at a time. Dust countertop, silpat, or wax paper with about 2 tablespoons of powdered sugar. Form dough into a ball, roll in powdered sugar to prevent sticking, and slightly flatten. Roll out to about 1/4 inch thick. 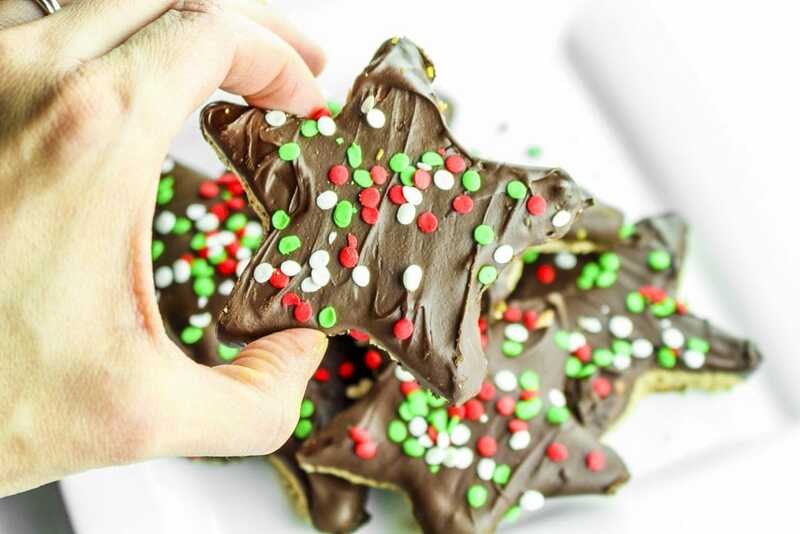 Using a star shaped cookie cutter, cut out the dough and place onto prepared baking sheets. Sometimes the dough will stick a bit so I use a lightly greased spatula to transfer them to the baking sheet. Bake for 15-20 minutes, until cookies are set, a lighter color, and the bottoms are slightly browned. 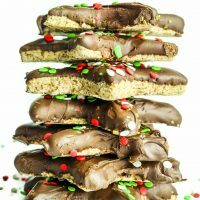 Dip the tops or the entire cookies one at a time into the melted chocolate and set right side up on a piece of parchment or wax paper. Sprinkle with Christmas sprinkles if you want. Enjoy! Store leftovers in an airtight container for up to 2 weeks! Whole almond flour works best. A lot of almond flours you see in stores will have the peels removed, leaving a flour that is one color throughout. 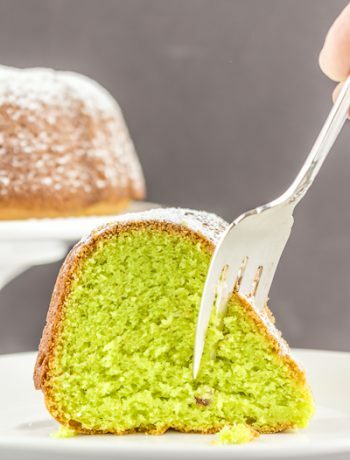 I have tested this recipe with almond flour that uses the whole almond, and with the flour just mentioned and the whole almond flour yields the best texture. I found some at my local natural grocery store. Since you're working with egg whites, be gentle with the dough. I have used the paddle attachment on my KitchenAid mixer, a hand mixer, and stirred by hand. All of those methods have worked but turn your mixer to a low setting and just mix until the ingredients are barely combined. You'll be baking these cookies low and slow. Don't be tempted to turn up the heat as the texture won't be quite the same. Because you're already dealing with a brown dough, it might be difficult to tell when the cookies are done. They will have gotten a little more pale while baking, and should have a very light golden brown finish underneath. They should be chewy but should not taste doughy. In my oven, they are done in exactly 17 minutes. Bake on the middle rack, but if you're topping with meringue, move the oven rack to a lower position. After whipping the egg whites, add just the powdered sugar and mix on low about 10 seconds until the sugar is incorporated. Reserve about 2 tablespoons of the meringue and finish preparing/rolling dough as directed. Before baking, spread a thin layer of meringue on top of each cookie. Move your oven rack to the lowest position so the meringue doesn't burn before the cookies finish baking. These cookies are so pretty! I love how simple the recipe is. These were my favorite from our Denver trip. I’ve been wanting to make them! I can’t wait to try your recipe. Even more sad I couldn’t get my flight changed in time for the tour, BUT so excited I can try these cookies you recreated from the trip! They look amazing. I always love chocolate shortbread cookies. I have never tried a chocolate shortbread, sounds amazing! I LOVE Cinnamon Star Cookies, but they don’t always turn out for me. I’ll have to try your recipe! Margaret you’re the first person to say they’ve tried cinnamon stars! Let me know if it works for you! My favorite is iced sugar cookies! Iced sugar cookies are a such a classic and always a win! Oh yes, I do too! Very nicely decorated cookies you have there! My favorite Christmas cookie is decorated, cut-out sugar cookies. I love real Swedish ginger snaps – thin and crisp! I don’t know that I’ve ever had those! I love ginger cookies though. My favorite are chocolate chip cookies – simple yet delicious! Yes, classic chocolate chip is always a win! I usually like gingerbread and sugar cookies during Christmas. These cinnamon stars look great too! I still can’t believe I haven’t gone after all these years. Looks incredible! These are so pretty! I can’t wait to try them! Excited to be doing this virtual cookie exchange with you! Thank you Jules! 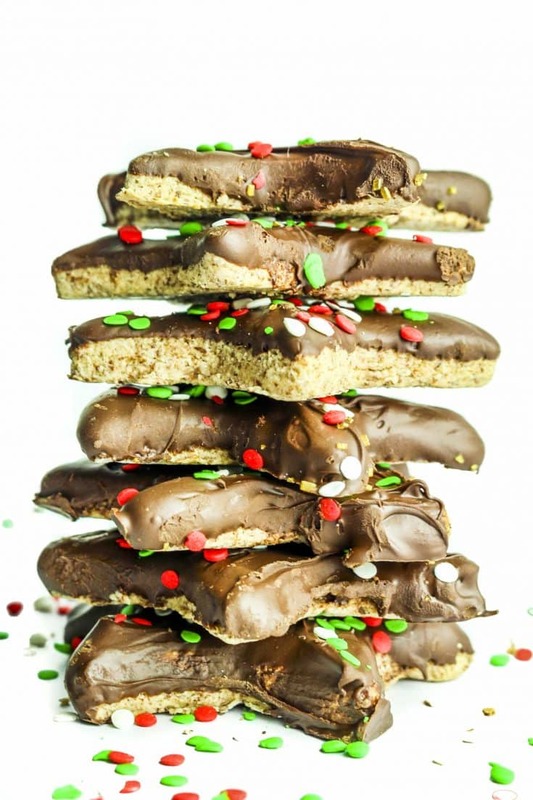 I hope you enjoy them and am planning on trying your candy cane cookies with my kids this week! Yum! I can’t wait to make some! I hope you enjoy them Mary! My mom’s cinnamon cookies are delicious ? Cookies from mom are always the best, huh? Are they a snickerdoodle type cookie? My favorite Christmas cookies are chocolate covered Peppermint Joe Joe’s! 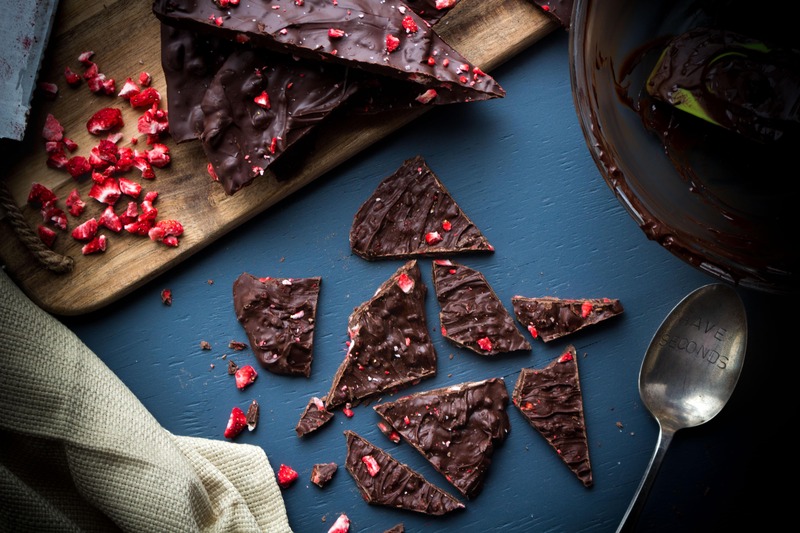 Chocolate + Peppermint is always a winning combo in my book! Spritz cookies are so fun! I remember making them as a kid but don’t much anymore…I might have to make a batch this year! After returning from a work related trip, I have 5 days to bake before Christmas. Your Cinnamon Stars have just knocked something off the list. The only 2 cookies that are safe from elimination are my Oatmeal Snickerdoodles & my mothers’ Nut Butter Thumbprints. I am all about chocolate in my cookies! Thank you!!!! We just had a cookie fellowship at church and a family brought these to share. I was hoping to get the recipe but hadn’t yet. Perfect timing! Hope you enjoy them Jessica! Absolutely! One of my favorite flavor combos! Gorgeous stained glass sugar cookies. I remember making those as a kid, so fun! Our favourite Christmas cookies are either gingerbread or sugar cookies as the children love decorating them! I haven’t tried these, I’ll have to look up a recipe! I love trying new cookies. My favorites are frosted sugar cookies. I love iced shortbread cookies! Ginger snaps are my favorite Christmas cookie. I like frosted sugar cookies. These cookies are amazing! Thank you! My favorite Christmas cookie is sugar cookies. I’m loving gingersnaps this year – it’s been my first time trying them! I haven’t heard of peppernuts, I’ll have to look it up and try a recipe! I love my grand mothers snow ball cookies. I love pumpkin chocolate chip with coconut & pecans. My favorite Christmas cookie is chocolate snickerdoodles! My favorite cookies are the Hungarian walnut-paste filled Crescents my Mom would make only at Christmas time! The best! My favorite Christmas cookies are sugar cookies and peanut butter cookies with hershey kisses in the middle. Sugar cookies are my favorite Christmas cookie. We love peanut butter blossoms! 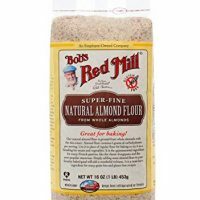 Is whole almond flour the same as almond meal? Yes. Some almond meal/flour has the almond skins removed, and some include it. I’ve had the best results using an almond flour that uses the whole almond. Okay, perfect! I hate buying almond flour because it’s so expensive. Almond meal is far cheaper and for the most part I can get away with using it in most recipes. 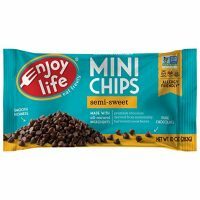 can anything be done to make these nut free? Unfortunately I don’t think there is a substitute since nut flour is so unique. Sorry Cyn.